Most everything you do these days involves your vehicle in some way. You need your vehicle to get to work, to shop for groceries, getting children to and from school activities, going to visit friends and family, and hopefully a relaxing vacation. The last thing you want is an unreliable ride which is why our Fairfax Station, VA customers come to us at Wiygul Automotive Clinic for all their auto maintenance. Regularly scheduled auto maintenance at Wiygul Automotive Clinic gives our Fairfax Station, VA customers protection in knowing they are riding in a dependable running vehicle. Your vehicle’s manual is a great source of information. You should always follow your car manufacturer's recommendations for auto maintenance. Not having regular auto maintenance could end up costing you more money in the long run. After your home near Fairfax Station, VA, your vehicle is most likely your next biggest investment and with proper care, it can last you for years to come. Check Lights — Turn signal lights, headlights, brake lights, and taillights should be examined on a regular schedule, at least once a month. A broken light can be hazardous for you and other motorists. Check Fuel Filter — You should always have a clean fuel filter so that your vehicle will run smoothly. 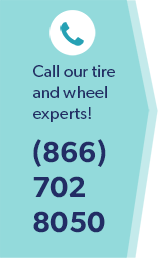 Inspect Tires — It is recommended that you rotate your tires every 5,000 miles so they will wear evenly. Also, check and make sure they have the correct amount of air pressure. Examine Hoses — Check hoses to avoid unexpected problems while driving. Belts which have worn thin or are cracking need to be replaced immediately. Change Oil Regularly — Consult your vehicle’s manual for recommended oil change intervals and follow. Check Brakes — Inspect your brake pads regularly to maintain your braking system. Inspect Serpentine and Timing Belts — Inspect periodically for damage and replace right away. A broken belt can damage other parts and can turn into quite a major expense if not taken care of immediately. Cooling System — Your cooling system should be flushed regularly. Properly maintaining your vehicle’s cooling system reduces your chances of your car overheating. Coolant works as a lubricant for your water pump to ensure it functions properly. Check Fluids — Check all fluids regularly including your power steering, antifreeze coolant, and wiper fluid. If you notice any leaks, repair right away. Examine Battery — Check to make sure it’s not leaking and periodically clean around the battery terminals with a wire brush. Bring your car into Wiygul Automotive Clinic for all your auto maintenance and repairs. We have been servicing the Burke, VA and surrounding areas including Fairfax Station, VA since 1996. We are committed to you, our customers, and to the safety of your vehicles.